One of my goals at the beginning of this year was to try hard to simplify my life. As a mom with lots of things that always need to be done, this is not an easy goal to achieve! That said, I do believe that by simplifying what we can, we can eliminate unnecessary stress from our lives and be happier! One thing that I have been trying to simplify is the food that I make for my family. This doesn’t mean that I am cooking out of a box or just eating frozen pizzas. Instead, it means that I am looking for ways to cook delicious food, with simpler ingredients that I can make in a hurry. 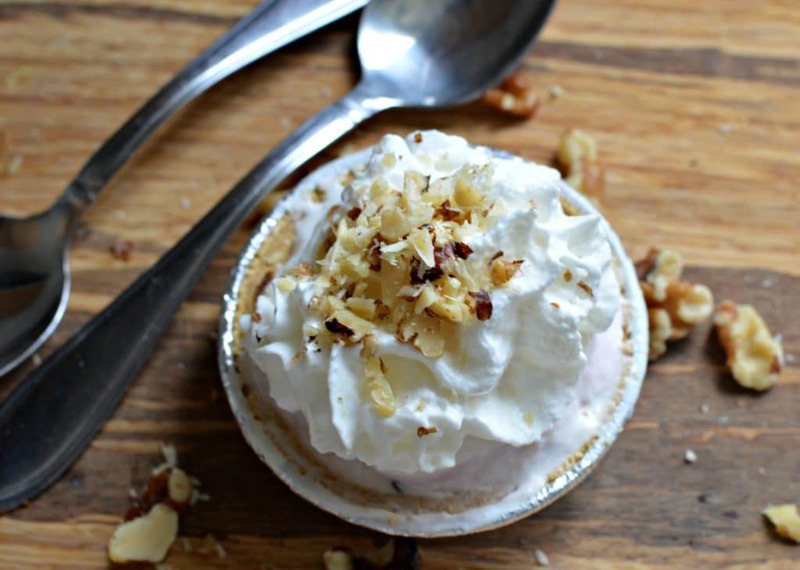 This recipe for banana, walnut, and strawberry yogurt mini pie is one that helps me accomplish that goal. 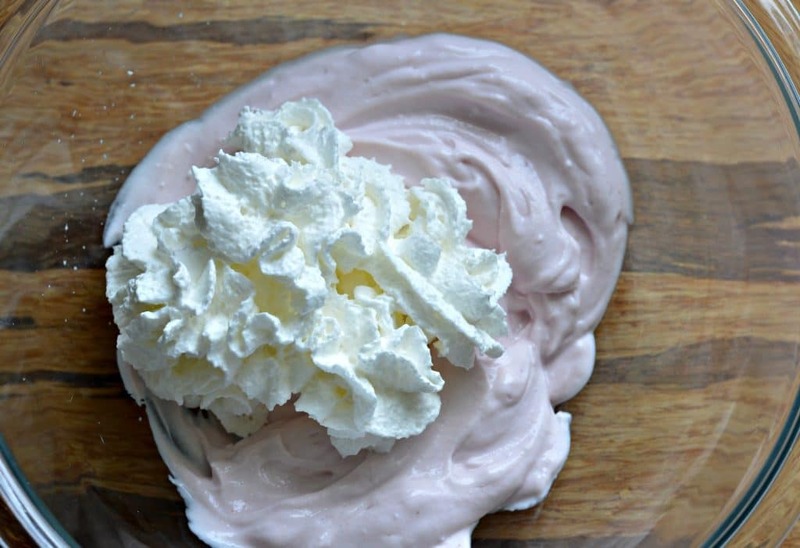 This is a great recipe to have one hand for a quick, fresh, and perfect sized dessert. You can make it when you are having guests over, or just after dinner when you or your kids are craving something sweet, but you don’t want to spend all day in the kitchen. All of these ingredients are conveniently located at Walmart. I was actually able to find the first three together in a special display, and of course the bananas were in the produce section. Right now there are rebates on Ibotta for the Reddi-Wip® and the Dannon® Greek Yogurt and if you redeem both, you can get a $.50 bonus. You can make this entire recipe in less than 20 minutes, although I actually chose to let it chill for a couple of hours before serving and it turned out great! 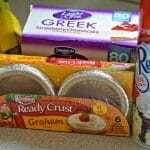 I love the Keebler® Ready Crust® Mini Graham Cracker Pie Crust. It is so convenient, because the come in such a great size and they are ready right out of the package. This is great, because it allows you to focus more on the filling. 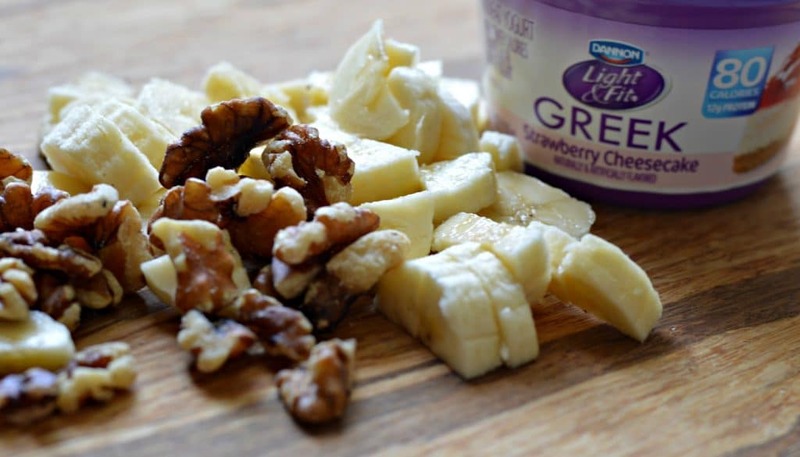 For my filling I chose to use the Dannon® Light & Fit® Strawberry Cheesecake Greek Yogurt, combined with Reddi-wip®, chopped walnuts, and bananas. 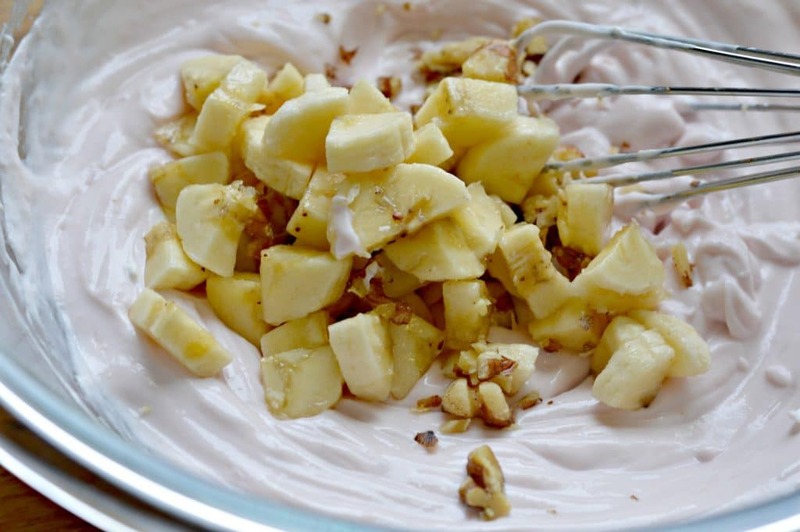 I love the combination of walnuts and bananas, and strawberry cheesecake goes good with just about any dessert! I know that simplifying life can be hard, but taking small steps is the best way to get started. I hope that you are able to enjoy this delicious pie on one of those days that you want something tasty but you don’t have a lot of time to make it. What do you do to make your life more simple? 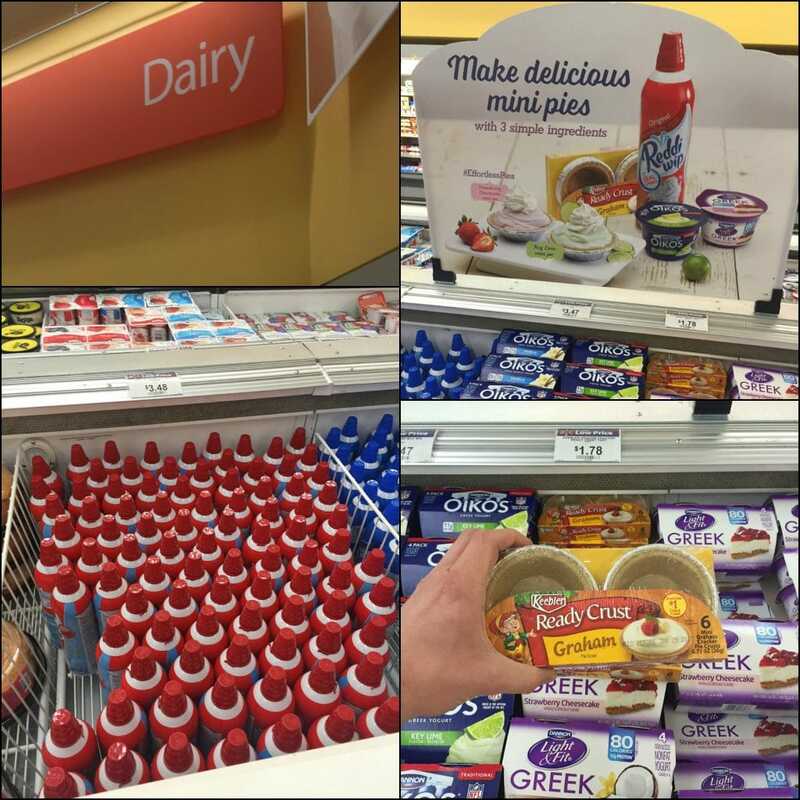 Add the Dannon® Light & Fit® Strawberry Cheesecake Greek Yogurt and about a cup of the Reddi-Wip® to a large bowl and mix well. Add the chopped walnuts and bananas and stir until everything is well mixed. 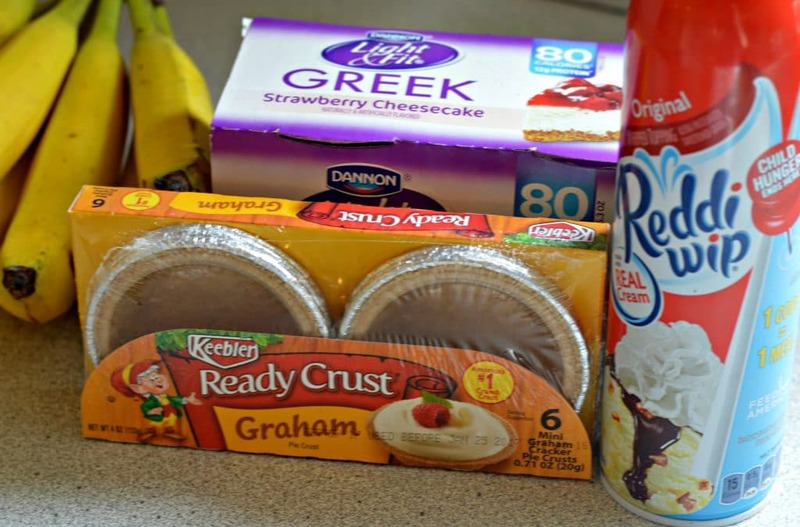 Add the filling to the Keebler® Ready Crust® Mini Graham Cracker Pie Crust (at this point you can chill in the refrigerator, or continue with the next step immediately. 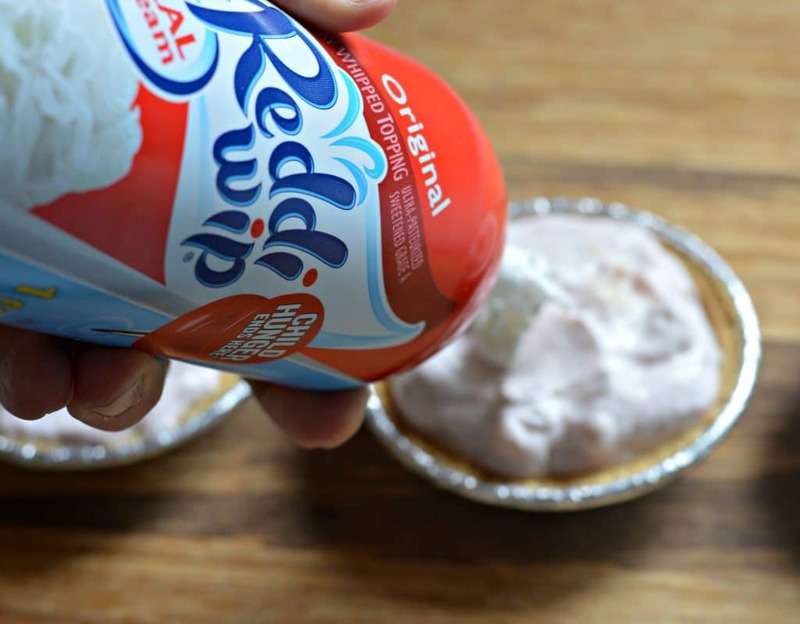 Add some more Reddi-Wip® on top of the pie filling, and finish off with very finely chopped walnuts.